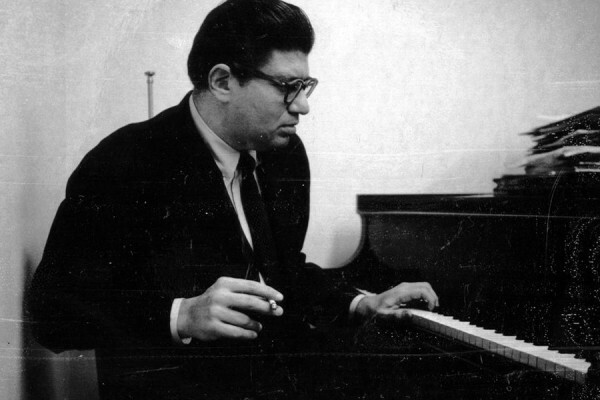 Crippled Symmetry, written in 1983 is the second of three works by New York Jewish composer Morton Feldman for this trio combination. Representing the culminating style of his compositions, with long time frames and somewhat repetitive yet ever-changing and overlapping material for the three players in a subtle quiet dynamic, this period is perhaps his best known through a series of recordings that emerged shortly after the composer’s death, with CDs making recordings of work of such length and dynamic subtlety possible. The performers, Paul Taub (flute), Matthew Kocmieroski (percussion), and Roger Nelson (piano) have been playing new chamber music together for nearly forty years. They were members of the New Performance Group during the 1980s and 90s and then formed the short lived but significant trio TaNeKo which premiered works by composers such as Nicolas Slonimsky. Over the years they have continued to play together and have performed all three of Feldman’s works for this trio of instruments. They are happy to once again offer the work of this great 20th century American composer. Note: This work lasts approximately 90 minutes without intermission.